Ernesto Teodoro Moneta was an Italian journalist and soldier. He later became a pacifist and won the 1907 Nobel Peace Prize. 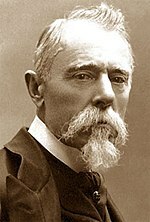 Moneto was born in Milan on September 20, 1833. He died February 10, 1918. This page was last changed on 8 November 2017, at 00:25.